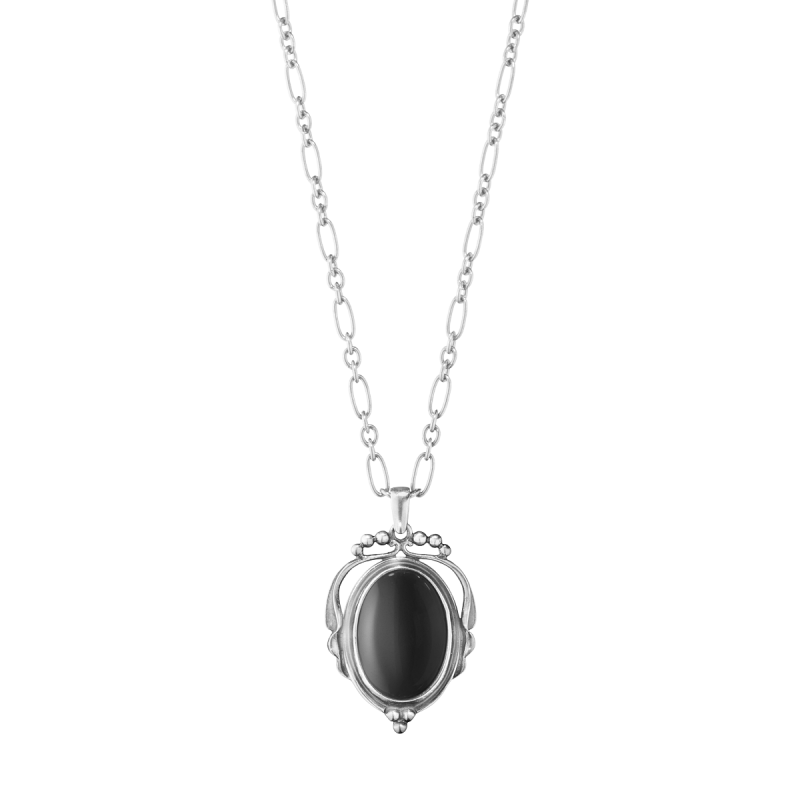 This Georg Jensen Heritage pendant has a handmade frame of sterling silver leaves and berries that are carefully oxidised to enhance their beauty even further. 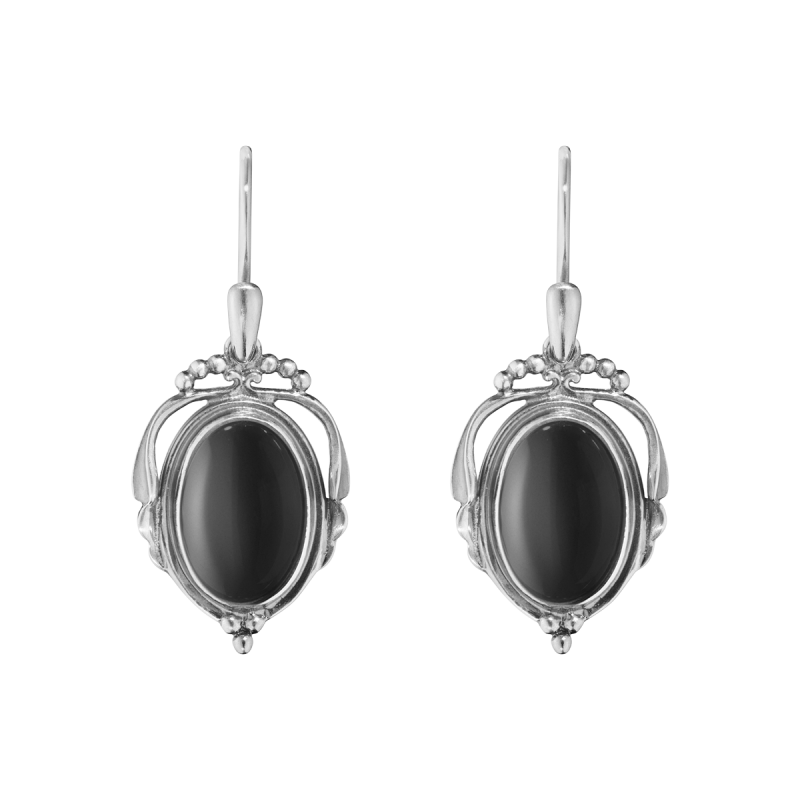 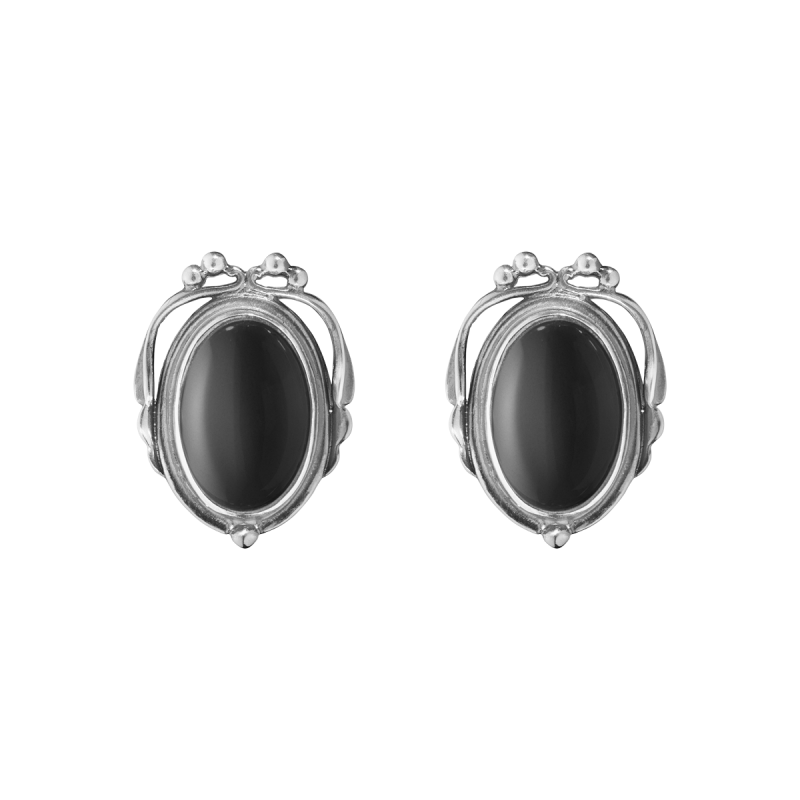 An oval of highly polished black onyx is then inset into the frame to give a classic Georg Jensen style vintage look. 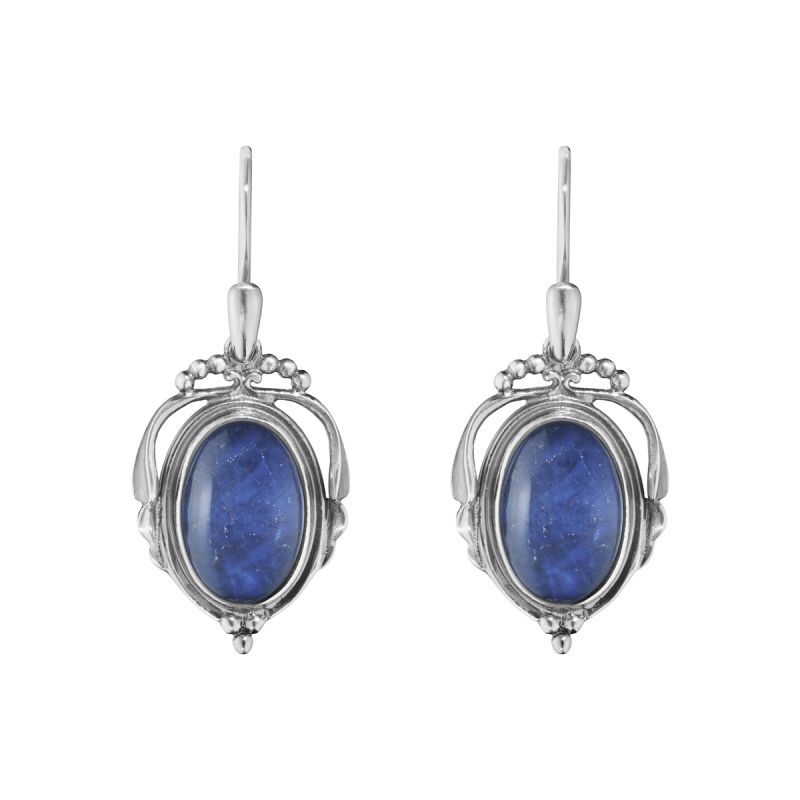 The curved lines and ornate, natural motifs used by Art Nouveau are attributed in the collection, making each piece infinitely eye-catching and enchanting. 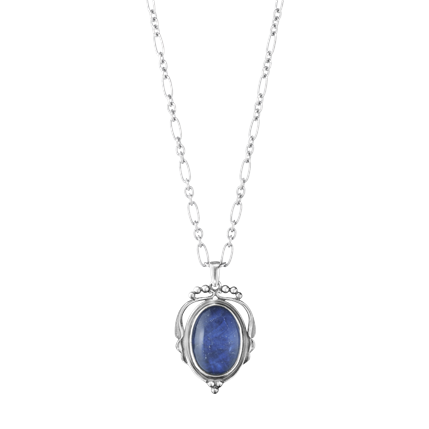 Currently a discontinued piece only one now available in stock.